The City of Bridgeport got more than just knowledge at this week’s West Virginia Rural Water Association (WVRWA) Annual Meeting that was held in Charleston. Bridgeport also managed to talk away with one of the events top honors. 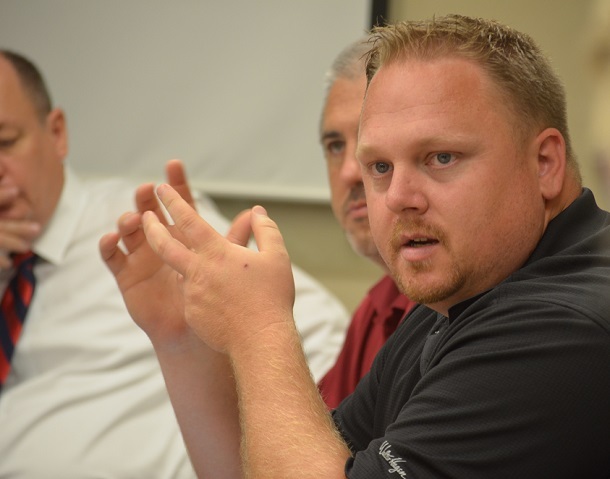 Public Utilities Superintendent Jared Cummons walked away with an important piece of hardware. 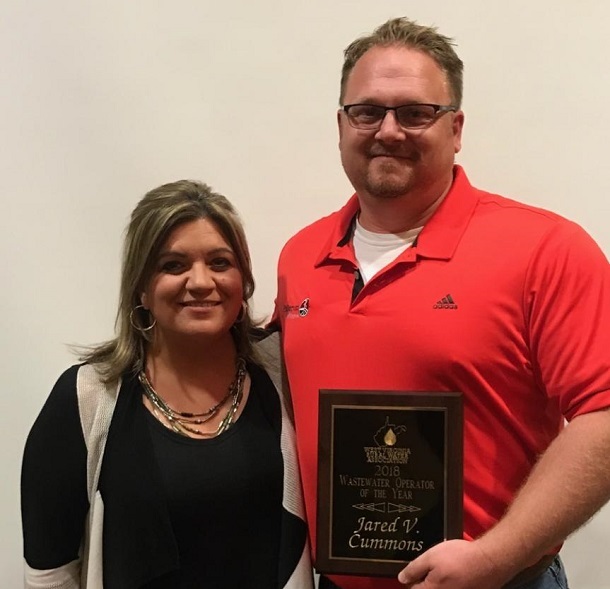 He was presented a plaque for being named the 2018 Wastewater Operator of the Year. Cummons was presented the honor at the Charleston Civic Center as part of the even that began Sunday and wrapped up Wednesday. City Engineer Beth Fox nominated Cummons. The nomination package also included a letter of recommendation from Bridgeport Mayor Andy Lang. The award caught Cummons by surprise. Fox said it’s something well deserved. Cummons is responsible for water distribution, wastewater collection and public utilities in general. He also makes sure the agencies that have a stake in making sure the treatment plant – groups such as the WVDEP and the Health Department – are aware of the plant’s operation. Fox said it’s a full plate. However, she said he’s often at his best when things go bad. Cummons said he takes pride in making sure the utilities, including the treatment plant, is up to par. However, he was quick to add that the honor received wouldn’t be possible without his staff. Cummons is also a family man. He and his wife Stephanie have two children – son Kyan and daughter Kasey. Editor's Note: Top photo show Jared Cummons with his award with City Engineer Beth Fox. Bottom photo shows Cummons during a Bridgeport Utility Board meeting.